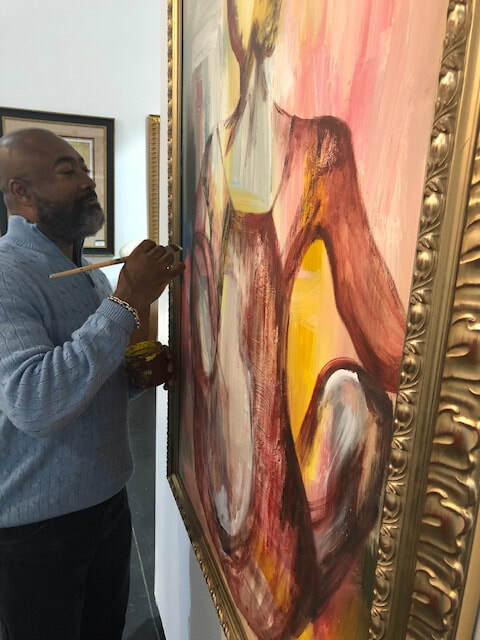 Every work of art purchased at Overdue Recognition Art Gallery comes with a certificate of authenticity, including the complete description for each work. We make every attempt to provide the most extensive information on the specifics of all works offered (where available): title, date, medium, image size, edition size information, and any relevant historical or provenance information. The Certificate is an official document that proves your work is genuine and authentic. It is a helpful tool in proving a work’s provenance, quality, and ensures the buyer that it is produced by that artist and no one else. Ideally, it should accompany every original or limited edition work of art you purchase. In the event of a sale, a certificate of authenticity is typically one of the first documents provided to the buyer. The vast majority of Overdue Recognition Art Gallery artwork comes directly from living artists themselves, ensuring authenticity. In addition to our original artwork, our unparalleled collection of graphic works includes lithographs, serigraphs, etchings, and giclées. Overdue Recognition Art Gallery works closely with publishers of the artist works to ensure certification. Purchasing a piece of art is exciting! At Overdue Recognition Art Gallery we understand the importance of proper documentation, to ensure the validity of your transaction.